First team development at Runcorn Linnets is to be aided with the introduction of our Patrons Fund. 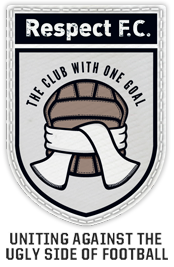 Similar schemes, which see supporters make regular or one-off donations, are already operating at other non-league clubs and have helped specifically and significantly with squad building. The club has gone to great lengths to support the management team - the playing budget has again been enhanced for the coming season on top of a major increase in 2017-18. Despite this, a number of fans have questioned the club's commitment and ambition. We have already repeated on a number of occasions that as a 'fans club', do not have rich benefactors footing the bills. Anyone interested in the detailed finances will have been present at the Trust Annual General Meeting in December, where a very extensive explanation of our position was given, alongside the accounts and balance sheet of the limited company. If you were not present, please join the Trust and you will at this year's AGM receive a detailed account - possibly unrivalled in this level of football. This will give a true indication of our financial needs and commitments beyond the playing side of the club. We are launching the Patrons Fund to give our fans the opportunity to show their appreciation of Ello, Crossy and the title-winning team. We are hoping all our supporters from all over the world will get behind the club and the money donated will be ring fenced to assist Ello and his management team throughout the season. For those supporters and businesses that wish to donate, this can be done on a regular monthly basis or one-off donations. We are suggesting an individual donation of �100 to cover the season. Cheques should be made payable to Runcorn Linnets FC Limited and sent to Millbank Linnets Stadium, Stockham Lane, Murdishaw, Runcorn, Cheshire. WA7 6GJ. If you would like to pay by standing order or bank transfer then the Standing Order Form is available for download. If you require further information you can email PatronsFund@RuncornLinnetsFC.co.uk. If the quantities are correct you may add any special instructions you want to provide to us, and click the Checkout icon, otherwise, amend your selection and click the [Recalculate] button. NB. The Shipping and Handling Fee, if applicable, and the Online Transaction Fee (�3.73) will be added during the Checkout stage.